Hi friends, today I’m really very happy share this trick with every one because this is one of the most awaited feature that many messaging lovers like us are waiting for. I hope you understood what I am talking about!!!! Yes, your guess is right. Now, I will share very easiest way and secure to use whatsapp on your Windows laptop/PC or in MAC. 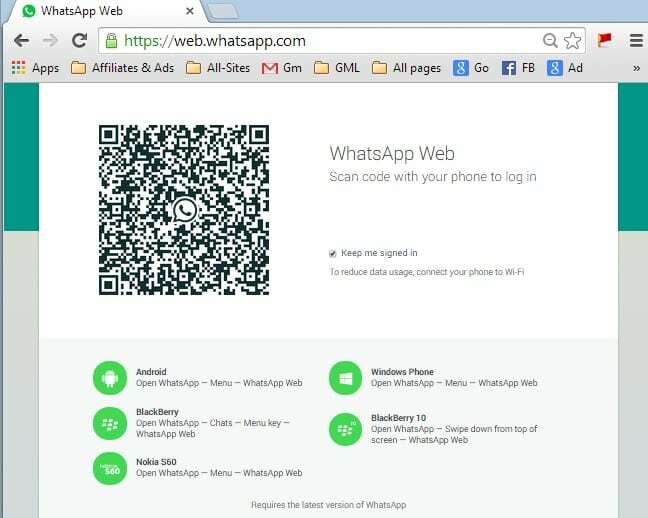 Yesterday(22/1/2015) , Whatsapp officially released web version. Before this web version we were using whatsapp for PC using Bluestacks and Youwave android emulators to get whatsapp in our laptops. To use whatsapp web version you don’t need download anything. You must have smartphone that supports QR code scanning. Don’t need to worry about whether it is Android or iOS or Blackberry or Windows phone. Your phone has to be able scan QR code. Then only you can use this WhatsApp Web version on PC. Install Latest version of Whatsapp from your App Store. I hope by this you must’ve installed Google Chrome in your Windows powered computer or in your Apple Mac. If you don’t Google Chrome installed on your MAC or PC. Just download and install Google chrome here. Yeah it take few minutes depending upon your Internet bandwidth. If you’ve got this already in your computer neglect it and continue to next step. Visit https://web.whatsapp.com/ in your Google Chrome browser. Don’t bother about the OS. Then you will see QR CODE in your browser like in the below image number 1. Now Take Your Smartphone, Open WhatsApp then Go to Options. Click on WhatsApp Web. 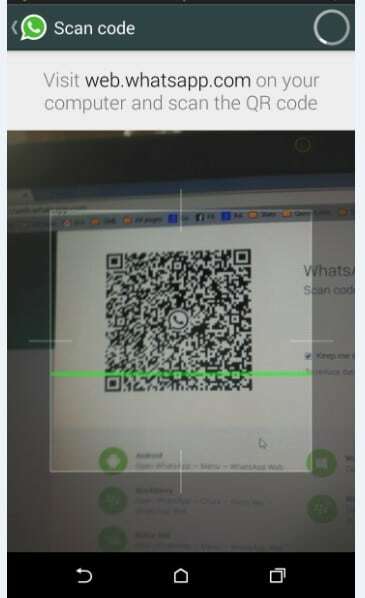 A QR code Scanning screen will appear like in image Number 2. If you wanna sign out on Whatsapp Web just go to options in Mobile>> Whatsapp Web > Sign out. By this time you must be using WhatsApp on PC. Don’t forget to thank me. If you like this you can do a small favor for me. Just share this article with your colleagues and friends. Checkout Below Images for further clear steps. I hope you like this simple and useful tutorial checkout some more awesome tutorials.